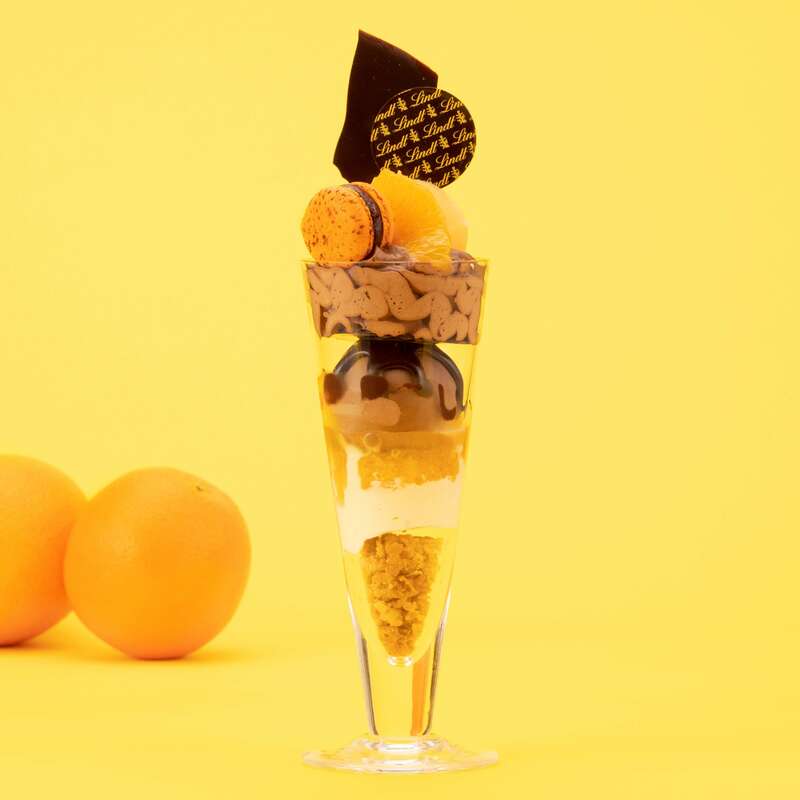 The Ginza and Jiyūgaoka branches of the Lindt Chocolat Cafe released two new desserts on April 1: the Lindt Dome Chocolate Orange and Lindt Chocolate Parfait Orange. 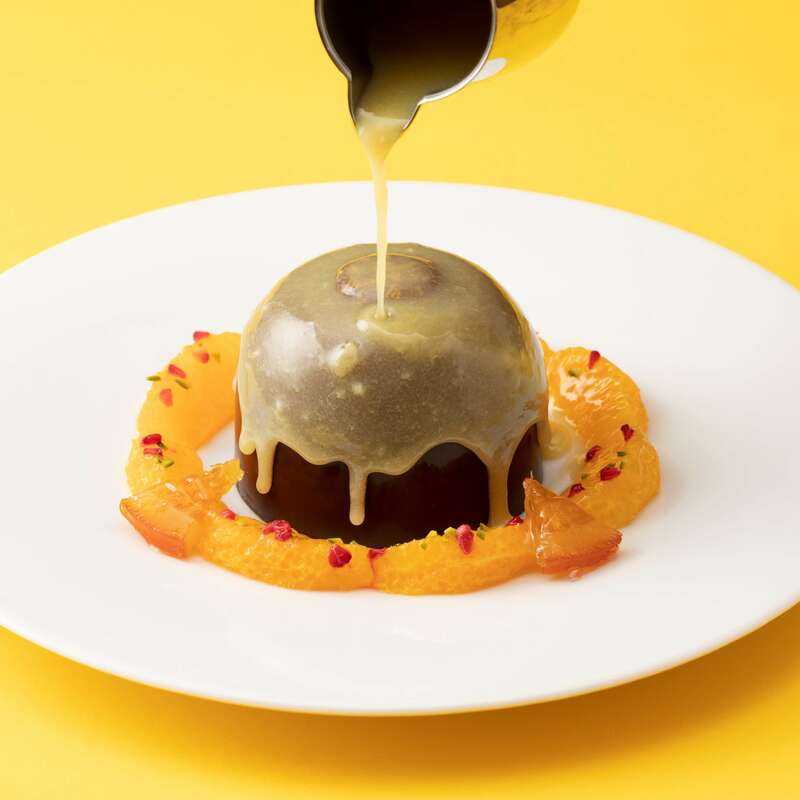 The Lindt Dome Chocolate Orange has an appearance and taste that changes from the moment you pour over the chocolate to your last bite. The dome-shaped chocolate slowly begins to melt as you pour over the chocolate sauce to reveal a surprise in the middle. The dessert also comes surrounded by fresh pieces of orange which are decorated with crunshed pistachios and raspberries. Enjoy after ladling on the hot orange and white chocolate sauce. See how it melts in the video above. 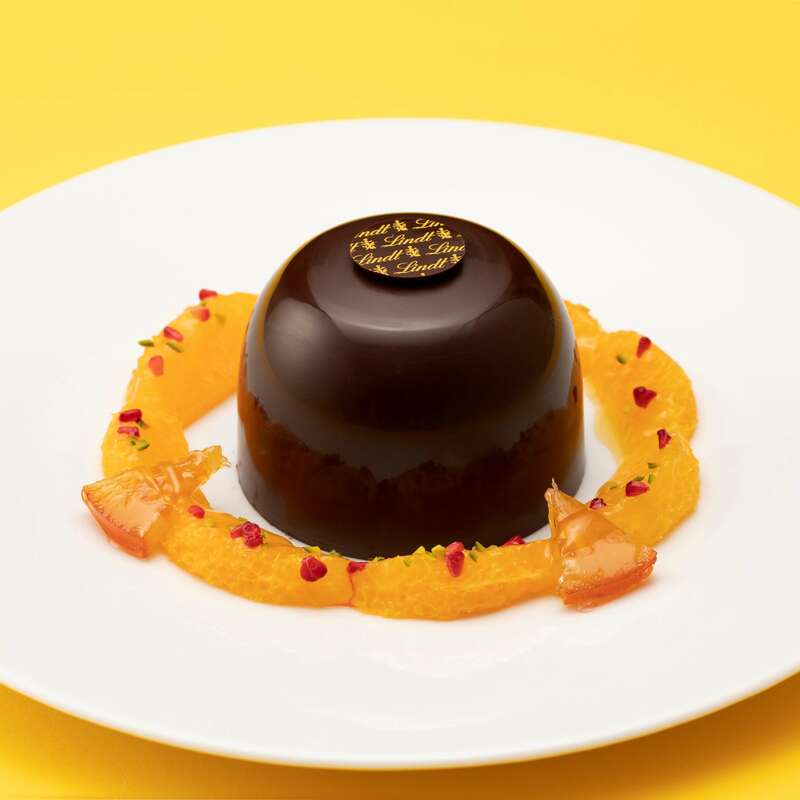 The Lindt Chocolate Parfait Orange is made with refreshing orange sherbet, fresh oranges and mini macarons filled with an orange ganache. The further you go down into the parfait the more your taste buds will be treated as they reach the dark chocolate whipped dream, rich dark chocolate sauce, and 70% dark chocolate ice cream. Also inside is a sweet vanilla mascarpone mousse and hazelnuts. Crowning the lovely-layered dessert is a dark chocolate disc. 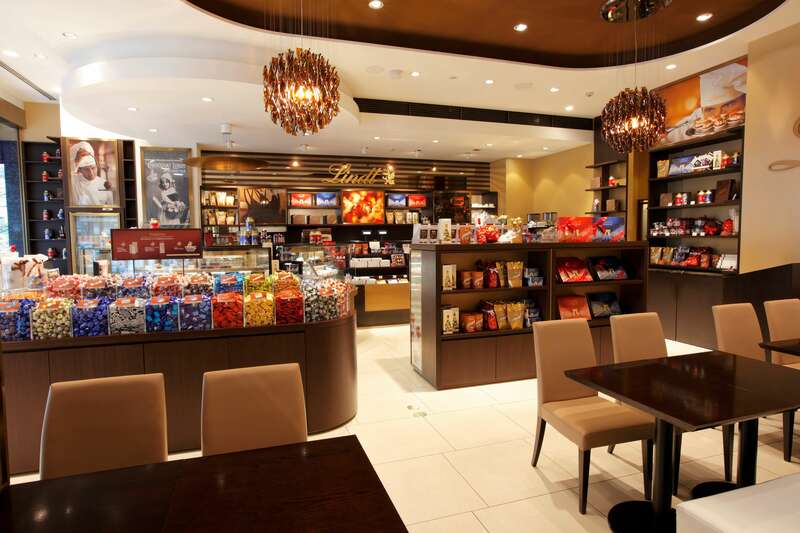 Stop by the Lindt Chocolat Cafe to indulge in supreme bliss chocolate.